Maximum Burst Pressure 5000 psi, Operating Pressure 3000 psi. A TRIPLE STEEL AND FABRIC braid-reinforced high pressure hose developed specifically to meet the demands of power steering systems, this flexible hose is also suitable for hydraulic and air lines. Available in size - 6 with a fabric outer covering. 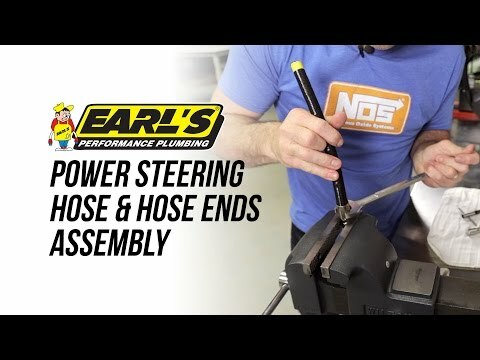 The pressure rating shown is only valid when Earl's power steering hose is used with Earl's POWER STEERING hose ends. 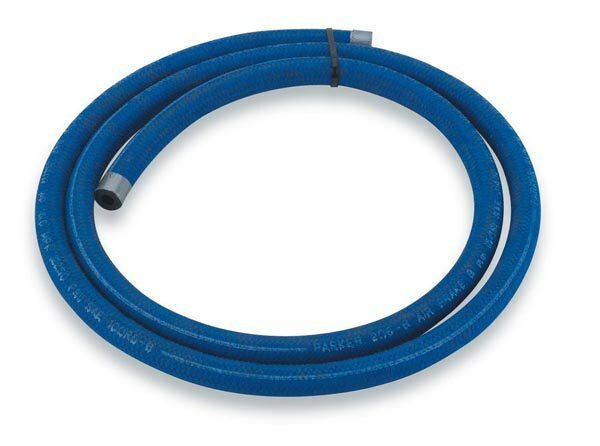 The use of other manufacturer's hose ends is not recommended.